My official weigh in isn't until tomorrow morning, but I'm not feeling particularly optimistic. I'm trying not to feel too discouraged, though. I went to the grocery store today and picked up a cart-ful of healthy eats for next week to make sure that my meals are on point even if the scale doesn't show it. I started with lunch today. 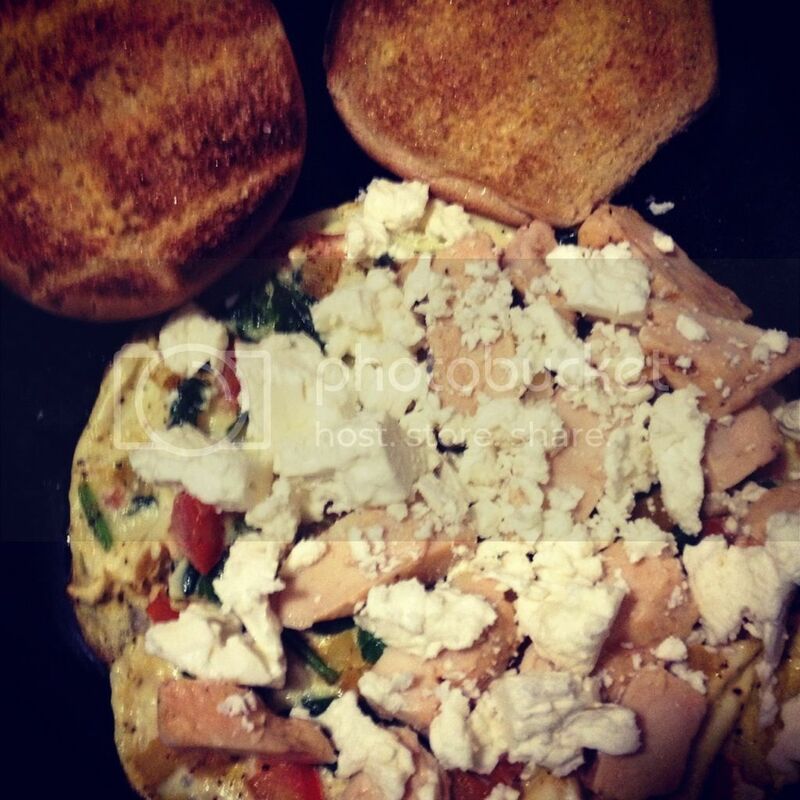 I made myself a Greek egg white omelette with egg whites, diced Roma tomato, spinach, onion, grilled chicken, and reduced fat feta. I ate it with a toasted Healthy Life bun. The whole meal was only 359 calories. Not bad! Most of the flavors in the dish were new to me and I was kind of proud of myself for trying something different. 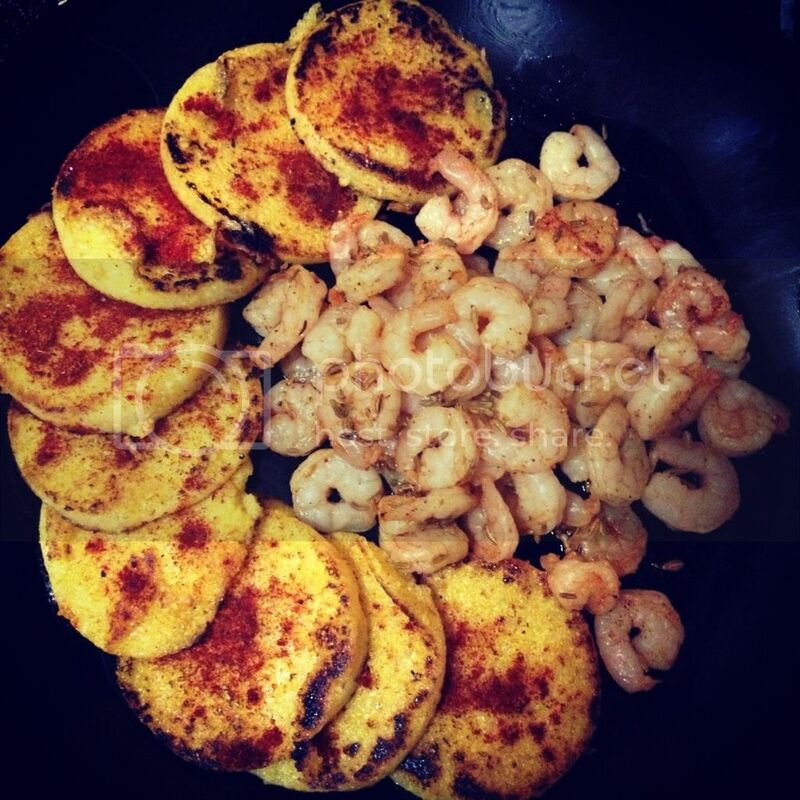 I still have half the shrimp and half the polenta and plan to use both in other recipes later. Shrimp pasta? Beef and mushrooms with polenta? Sounds like a plan.